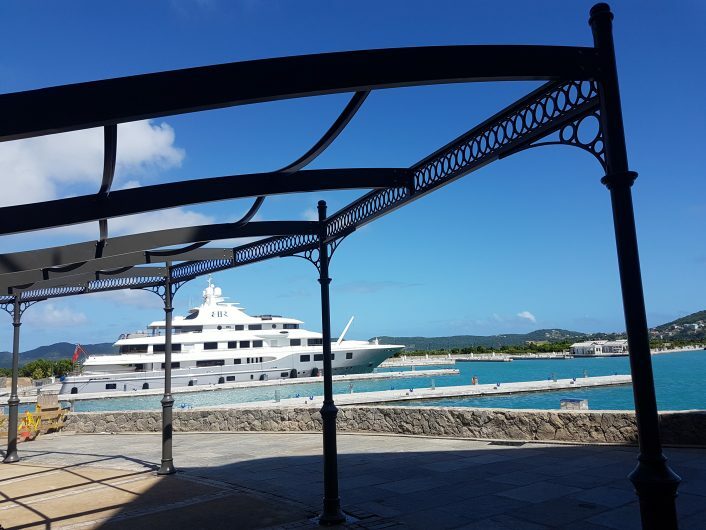 Based on the architect’s initial outline plans, Leander designed, manufactured and installed a large canopy/pergola structure capable of having a canvas sun shade roof installed. 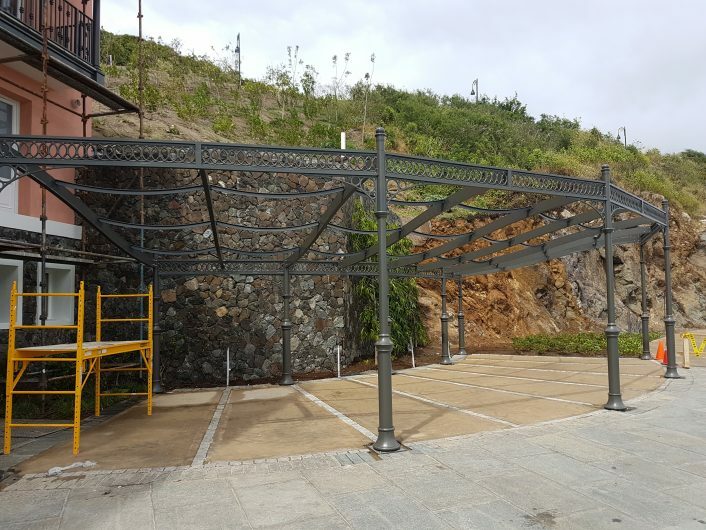 This was a heavy duty coastal structure to provide sun shelter for vehicles in an exclusive Caribbean resort. 1, Length of clear spans between columns (front to back and length ways). 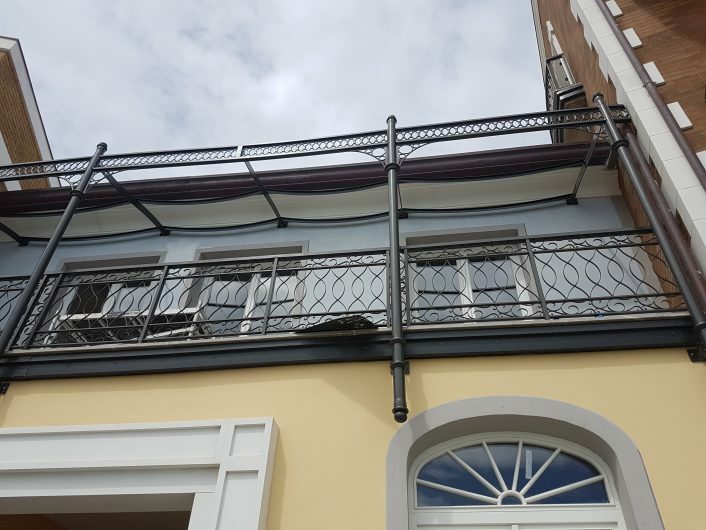 2, Complex curved shape of the beams connecting front to back edges. 3, Wind loadings on the structure (it is a coastal location and the canvas roof may act like an anchored sail). 4, The design needed to be packed into a standard shipping container for export to the Caribbean. 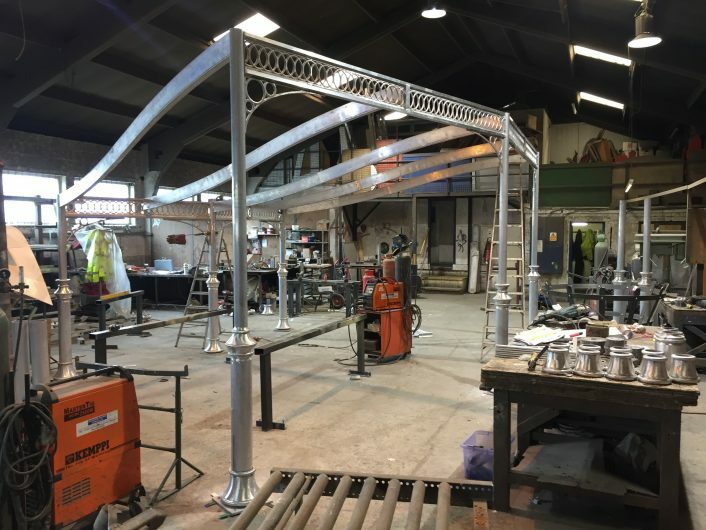 The shaped beams required specialist fabrication (in our workshops) and a final load test prior to acceptance by the engineers. 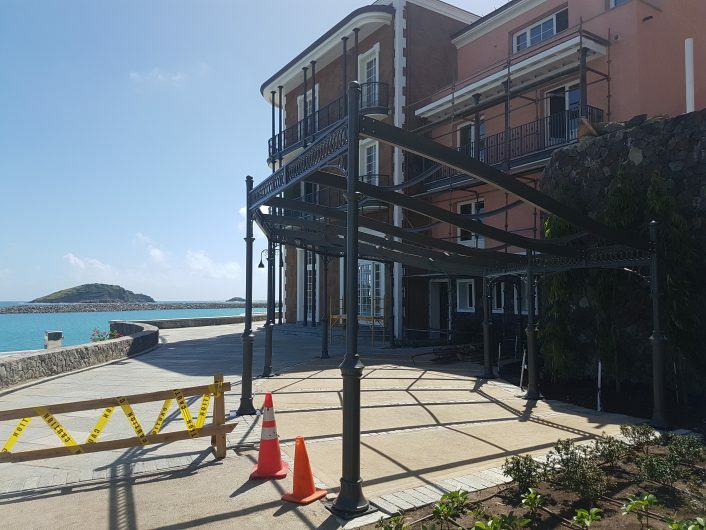 All items were required to be finished to a very high standard, as this structure is a key feature of a very exclusive resort. The final stage of this project involved on-site installation on a small island in the Caribbean. 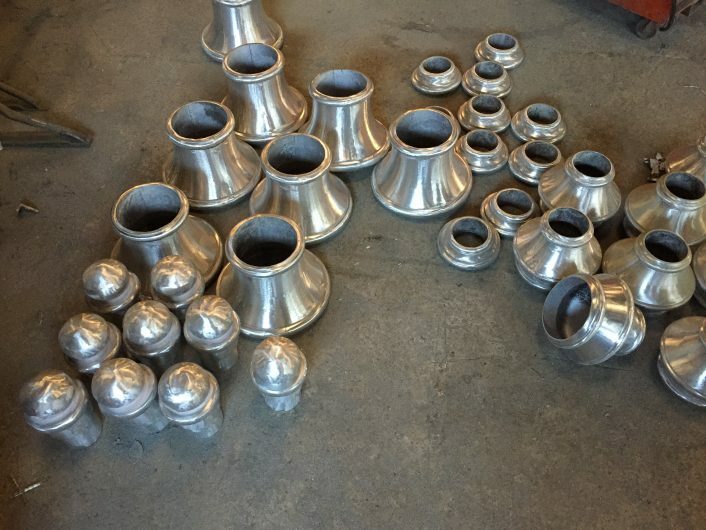 Our installation team had to prepare as though they were installing in the middle of a desert and be self sufficient. There were very few specialist engineering services available on the island in case of any issues!